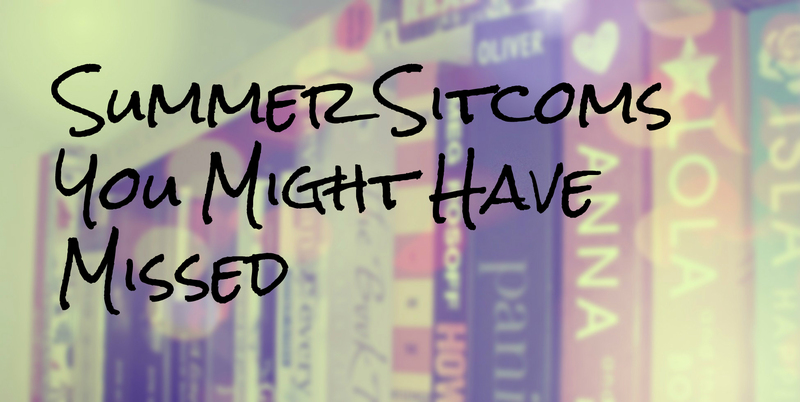 I was thinking about what kept me upbeat during the TV hole that is summer and I came up with a couple of sitcoms. Some of them are still running others were during the summer only. However, here they are! I have to admit that I started watching Clipped purely out of boredom, but I was pleasantly surprised by it. It’s a workplace comedy that almost exclusively takes place at the barbershop. The characters are all quirky in their own way and you can’t help but like them. Maybe it didn’t stand out next to brilliantly scripted shows like UnREAL, but it’s fun in its own way. It definitely helped me through some boring and hot days where I didn’t feel like leaving the house. Significant Mother takes place in Portland, Oregon – one of my favourite places on the planet. Portland is weird and so is this show, which is only one of the reasons why I like it so much. It’s just really fun and plays with stereotypes a lot. If you haven’t given it a try yet, you definitely should! I was sort of dubious about it at first, but it had Matt Murray from Rookie Blue in it, so I checked it out. Man this is so much cuter and weirder than I thought it would be. Noah Reid as Kevin is adorably dorky and very relatable in my opinion. Many of the characters are way over the top and I think you kind of have to be into that sort of thing. However, I like it. I had to get some diversity into this list, which is why I also included a British comedy. I still can’t believe how long it took me to realise that Joe (played by William Melling) is little Nigel from Harry Potter all grown up now. Fried is definitely an oddball as well, but I like that sort of British humour. The show is often really ridiculous, but in a good way. Have you missed out on some of those shows? Or have you actually watched them? If so, did you like them? Thanks! Yeah, Clipped has yet to be renewed or cancelled. I’d kind of like to see some more of it though. True, but I think the role suits her. On another note. Have you seen Heroes Reborn yet? I am watching it right now and it feels like the show never stopped. What all have you been doing? Aren’t you home for a vacation? But you won’t wait for it to be renewed to start watching, right? I’m home, yes, vacation is a bit more iffy… basically I’ve been seeing by brother, sister, grandmother, going out with friends, helping my brother setting up his new house… while still finding SOME time to be with my dad. LOL. I’ve been able to read 100 pages since I’ve arrived and I watched the premiere of The Big Bang Theory and that was it… very sad indeed! Okay that sounds very busy .. If it’s any consolation, I haven’t exactly read much either. But I’ve watched a lot. Some of the new stuff is really dreadful though. yeah, I bet. I need to catch up though, I still have a lot of shows from last season that I haven’t finished (shame on me). Does that mean you know none of the major cliffhangers like in Jane? Or haven’t seen the devastating but brilliant performance of Sam Heughan? :O man, you really are behind! That show just made me feel uncomfortable to no end (meaning Outlander). Those performances were so raw and heartbreaking. I can’t even … it’s still such a shame he wasn’t even nominated for an Emmy. he wasn’t? wtf? how is that even possible? I don’t know. I really don’t understand it. Nah, 12 is definitely too many. I mean that’s just no fun when almost all the awards go to just one show. There was a huge deal about Viola Davis getting best female lead though. I mean I like HTGAWM but I didn’t exactly see that coming either.